Jorge Sampaoli doesn’t like taking the shortcut back to his house. There’s that one cluttered highway back to his apartment complex that most commuters seem to take, but Sampaoli tends to take that one winding road on the banks of the Guadalquivir river. Perhaps it’s the most challenging route, but it pays dividends. In spite of my lack of knowledge about Andalusian roads and Jorge Sampaoli’s driving habits, I can tell you one thing: he doesn’t like to take the easy way out. This is a man who sought out to take a Europa League team to the highest tier of European elites with washed up prospects and late bloomers that countless other managers couldn’t reach. Whether it be Stevan Jovetić, the buck-toothed kid that never found a consistent run of games at neither Inter Milan nor Manchester City, or Mariano Ferreira, the buccaneering right back who stayed in Brazil until 25 years of age, he has proven that the system, not the players, matters the most. However, this story isn’t about the system. Nor is it about Jorge Sampaoli. This story is a tale of redemption, evolution, and brilliance, the tale of Steven N’Zonzi. This is a man who has just made one call-up for his national side, the French U-21s, who has transformed into one of the best registas on the planet, and who represents everything that the modern, complete midfielder entails. A mobile regista, N’Zonzi demonstrates intelligence on the ball, even though that might not always be the most eye-catching decision. No, N’Zonzi is not your stereotypical regista like Andrea Pirlo, making Hollywood passes from the halfway line to the wings. At best, he’ll chip it to a fullback with satisfying simplicity. What N’Zonzi does is simplicity personified. Whether it be short, quick passes, clean tackles with both feet on the group, or neglecting the pass and directing a teammate to look elsewhere for a pass, he is the new controller: Mobile, strong, intelligent, and quick-footed. Real Madrid had not lost in La Liga for nearly a year, and it was going to take an all-time great performance from someone to hand Los Blancos their first loss in all competitions since April. N’Zonzi gave a seminar in controlling a match. Technical prowess, first time passing, leadership on and off the ball and his positioning make him one of the best midfielders in Europe. He has shown some of his volante roots, driving deep into Madrid’s own half to create danger. He rarely dwells on the ball, and even less so makes a wrong decision. It didn’t start out smoothly for N’Zonzi in his stay in Spain. On his debut he was sent off, but, perhaps it could be said that he started the same way as Javier Mascherano, and had nearly the same evolution. With Krychowiak’s injury, he went from a depressed benchwarmer asking for a transfer, to a key player for Unai Emery’s side. Under Jorge Sampaoli, N’Zonzi is a firefighter and an architect rolled into one, putting out blazing counterattacks while dictating the run of play. “He has done very well this year, this proves that he is growing as a player. In the half of the pitch, he was like an octopus, recovering balls and dictating build-up,” Sampaoli said of the French holder. 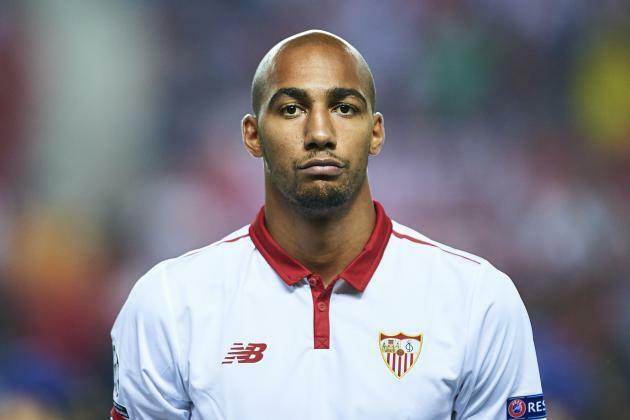 If Sampaoli leaves this summer, N’Zonzi will miss him, but with his performances this season, he has gone from rejected journeyman to a coveted, world-class dynamo. From bouncing from Amiens to Blackburn Rovers, to being pursued by Barcelona and Manchester City, Steven N’Zonzi truly is the comeback kid.